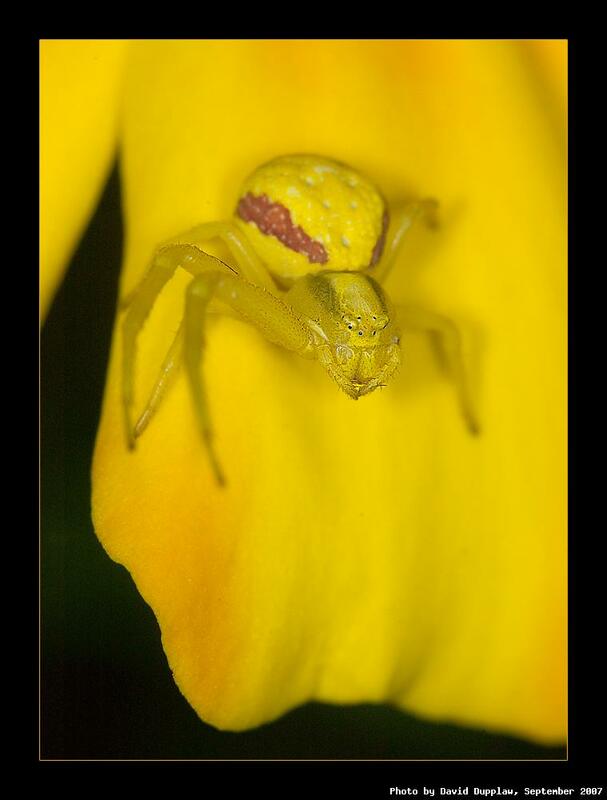 This Crab Spider (Misumena vatia) is able to change colour to match its background, mainly to protect it from birds and the like, but not camouflage it from its prey who can clearly see it in the UV light in which they see. The spider doesn't spin webs, but sits on plants and will grab passing flies. This is a male due to the dark stripes on its head (cephalothorax), but it appears to only have one front leg, so is probably not going to catch much.